It's a drizzly cool day. Finally. It's been so hot and dry. 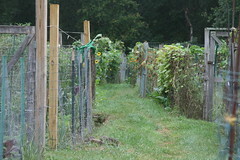 I took my camera and walked through the paths of my community garden. 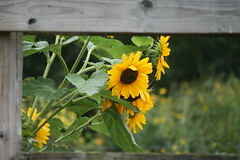 The star of the day are the sunflowers: bright and tall. 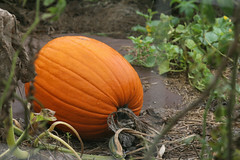 The squashes are ripe, tomatoes fading, kale's and Brussels sprouts are looking good. great photo's, thank you for sharing! Everything looks so fresh and nice. 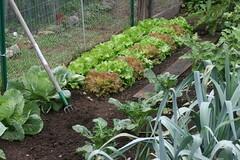 How do people keep slugs off their cabbages and brussel sprouts. Mine were ravaged! For slugs we use Sluggo. 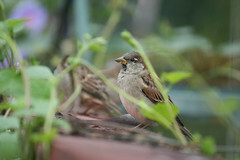 We buy in bulk and supply to gardeners. 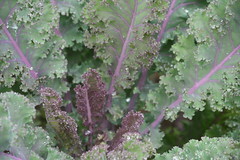 It's a nice organic product that kills slugs and snails. Are you sure it's slugs? 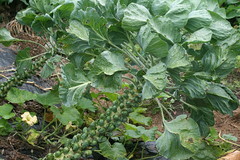 On cabbage and similar plants (brassicas) the cabbage worms are usually the problem. A bright green or striped black caterpiller that leaves a trail of black poop that you can usually spot easily, long with the eaten leaves. 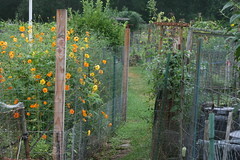 The plants can be sprayed with spinosad (Captain Jacks Dead Bug Spray) then cover with row cover to keep the bees away and keep more caterpillars from coming. Check regularly under the covers and respray as needed, if you see more damage, according to produce directions. The cabbage worms tend to be a bad problem for young plants. 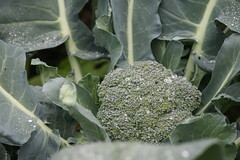 Older kales, cabbages and Brusseks sprouts aren't affected as much and covers can usually be removed. 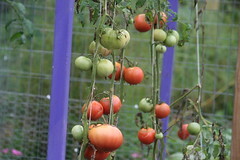 Your community garden is beautiful. So much inspiration for my new adventures in gardening. 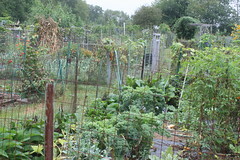 We bought a place in the country with an acre of land last year, so I have grown two gardens, each year a little bit bigger. I love it and I'm anxious to learn all that I can. 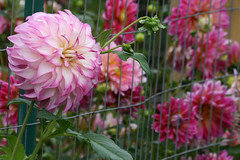 I don't see a place to follow your blog, so I am adding you to my favorites list.